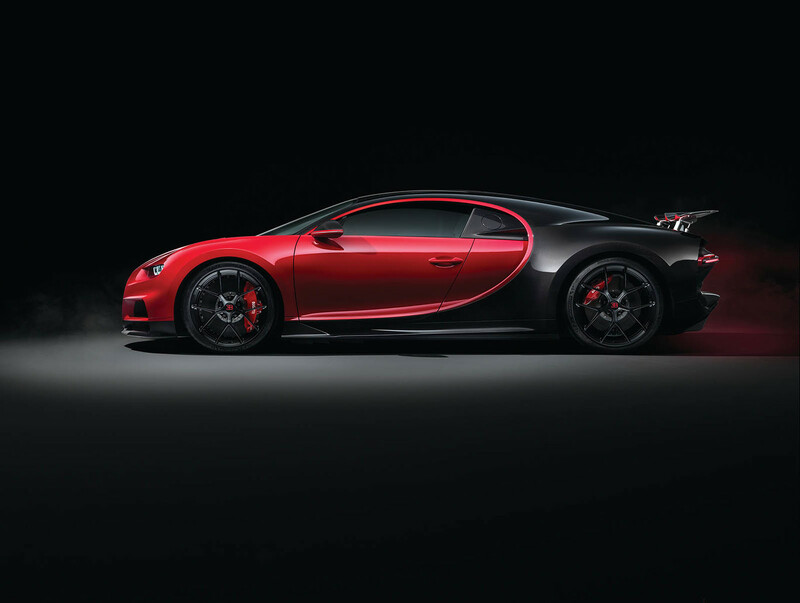 In March, Bugatti unveiled at the Geneva Motor Show 2018 a new variant of its hyper-sportive Chiron. With last name Sport, this version reduced its weight by 18 kilos thanks to replacing several elements by others in carbon fiber and tuned its chassis to be even more sporty. Some changes somewhat decaffeinated for the expected, since the rumors pointed to a possible Super Sport that exceeded 1500 CV delivery. But it seems that Bugatti was keeping an ace in the sleeve: another special and limited edition that will have more improvements than this first Sport variant. As published by The SuperCar Blog, sources of the brand could have confirmed this version, which has been christened as Bugatti Chiron Divo and whose debut is set for the Pebble Beach Elegance Contest, which takes place on August 26. According to the information handled by this publication, the production of the Bugatti Chiron Divo will be very limited: less than 100 units will see the light. In addition, its price will be even more exorbitant than the two Chiron so far in production: nothing less than five million dollars. Although if someone is thinking about his purchase, we must say that he is late: all his units have already been sold and deliveries will start in 2020. The first thing to ask is what changes this Bugatti Chiron Divo that justify such a cost. We must remember that the slight changes introduced in the Chiron Sport led him to raise its price to 2.65 million dollars on the 2.4 million dollars that the conventional variant costs. But we talk about practically doubling its price, so the improvements should be remarkable. The Bugatti Chiron Divo will further reduce its weight and equip a new transmission inherited from the competition. Although the brand has made it clear that this will not prevent it from remaining approved for driving on the road. In this new version, the exclusive French manufacturer wants to emphasize the acceleration and downforce, which will be optimized significantly for the occasion. We are talking about lowering a number already of another world: the Chiron makes the 0-100 km / h in 2.5 seconds. On the other hand, these adjustments will make the Bugatti Chirion Divo reduce its maximum speed, which will go from 420 km / h to 385 km / h. Something that attracts a lot of attention as the brand has hinted on many occasions that one of its objectives is to recover the speed record taken by the already out of production Koenigsegg Agera RS. Perhaps Bugatti has definitely given up or maybe is reserving for the replacement of the Bugatti Chiron, in which the brand is supposed to start developing it in 2018 as confirmed at the end of last year. Anyway, the Chiron continues adding versions while it remains in production, all the details of this Chiron with last name Divo will be in little more than a month in the Californian appointment of Pebble Beach.